I am using a mobile broadband device and created a ad-hoc connection in NM to share it. The device works out of the box and ad-hoc connection also works very fine. 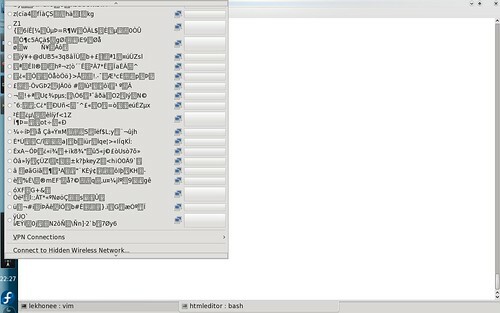 But some times if I disconnect from the broadband device, NerworkManager crashes, and after restart when I start that ad-hoc connection once again, it automatically creates too many ad-hoc connections with strange names and the list continues to grow. You can find the bug here. I am on rawhide.